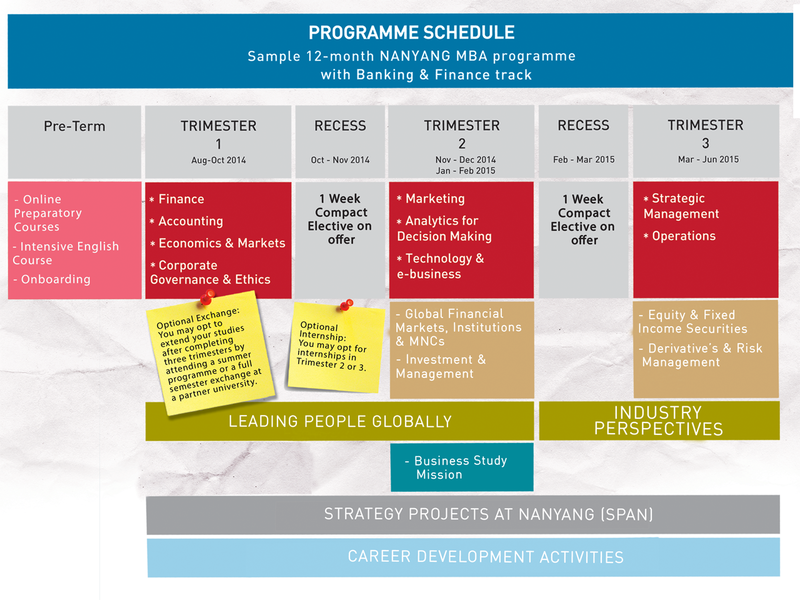 Above is an example of how your calendar will look like if you are taking Nanyang MBA with Banking & Finance track. It is imperative that you plan your calendar well ahead of time in order to optimize your learning at Nanyang. For those sponsored by their companies, and have time to continue their studies for 2 years, a customised MBA programme is available on request. It will follow the 12 months program basic schedule and will have additional modules, courses, internships among others.